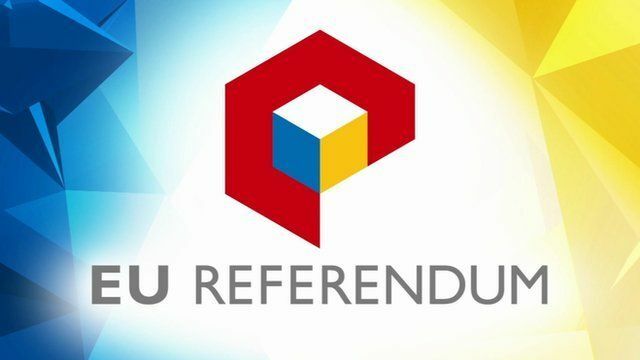 On the 23rd June 2016, the UK will be voting to decide whether to remain in, or leave, the EU. In the event of a Brexit what impact would leaving the EU have on Landlords and their obligations under the Right to Rent Scheme? Initially, to see the potential impact of Brexit we have to compare this with how the current rules operate. Once the Landlord has checked one of these two documents, then a ‘continuous’ right to rent is established. This means that no further checks are required until there is a trigger for a further right to rent check (for example where the parties to the tenancy agreement change). In the immediate future post Brexit vote, there will be no impact, as there will be an initial period of transition before the UK actually leaves the EU. Therefore any change in the rules that exist will not come into force straight away. There is a minimum period of 2 years before the UK will leave the EU, during which time there would be ongoing negotiations with the other members of the EU. However, the actual period of time would likely be longer. After this period of negotiation had ended and the UK left the EU, there are two potential futures we can speculate upon and how they will impact right to rent checks. A number of countries who are not in the EU have remained part of the European Single Market (Iceland, Liechtenstein, Norway and Switzerland). If the UK were to negotiate to remain part of the single market, then this would mean that almost certainly, there would continue to be the right to freedom of movement for other EU nationals to the UK. In this scenario, given that freedom of movement would continue to exist, there is likely to be very little impact upon the right to rent checks that currently exist, as an EEA national’s passport or ID card will continue to prove that they have the right to be in the UK. However, there have been warnings that if the UK were to Brexit, it would be unlikely to remain part of the single market. Wolfgang Schauble, the German Finance Minister, warned that it was unlikely that the UK would remain part of the single market if they voted to leave. Opinion polls also currently suggest that Immigration is the most important issue for many people who are deciding whether to remain or leave the EU. Therefore a decision to leave the EU and remain part of the single market may be counter intuitive. What requirements there would be for other EEA nationals to enter the UK. It may be that there is some form of amnesty for EEA nationals who have already resided in the UK for some time, in which case it is likely that they will continue to benefit from some form of status that enables them to rent a property. However, given the focus on controlling immigration that has played a large part of the ‘Brexit campaign’, it seems likely that a visa system will be applied to other EEA nationals who wish to enter the UK for the first time. At present there is a system of Immigration Rules that applies whenever a non-EEA national wants to enter the UK. This system is, despite attempts to streamline it, enormously complicated. There are a huge variety of different visas that can be issued in different categories, for different periods of time. In some categories a person will be able to enter the UK multiple times on a single visa, and in others, they will only be able to travel once. Therefore, in the event that the UK leaves the single market, it is likely that immigration checks for Landlords will become increasingly difficult as there will be a larger group of tenants who have unusual forms of status which are not always easily identified. Also, as European nationals will no longer automatically obtain a ‘continuous’ right to rent, it is likely that their right to rent will be for a time limited period, which will mean that repeat checks will be required. Failure to carry out those repeat checks on time, will leave Landlords liable to facing fines and (once the Immigration Act 2016 provisions come into effect) a period of imprisonment of up to 5 years. There is also a fairly high prospect of an increase in the number of migrants unlawfully present in the UK, given the proximity of other European Countries, and a history of free travel between the countries. The risks that Landlords will inadvertently rent to somebody who does not have a qualifying immigration status, is therefore greatly increased. Whilst in the short term there is unlikely to be any impact for Landlords/Agents carrying out right to rent checks, in the future it is likely that Brexit would ultimately make it much tougher for right to rent checks to be carried out, and there would be a need to carry out more frequent checks, with a higher chance of inadvertently renting a property to a tenant without immigration status.